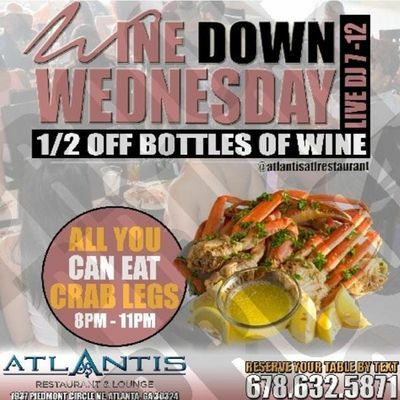 LINK UP AT ATLANTIS THIS AND EVERY WEDNESDAY FOR $25 ALL YOU CAN EAT CRAB LEGS AND 1/2 OFF A BOTTLE OF WINE FROM 8-11pm! 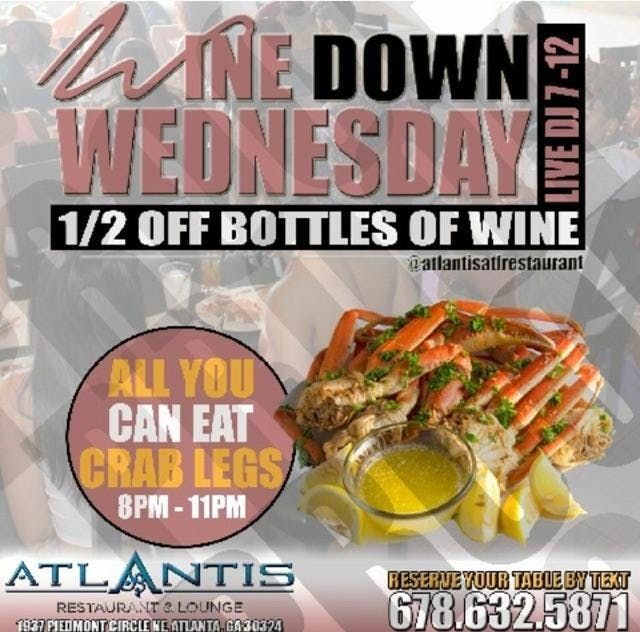 Round up your crew and wind down at Atlantis with food, drink and hookah specials as the DJ turns up from 7pm-12am. To reserve your table text 678-462-5985!